Replace the iphone as mobile computing device? Its too big to pocket and its not a phone. Seems like a bad iphone replacement. Maybe an iphone supplement but it only provides a bigger screen and you have to carry the phone anyway to take calls. You points about Flash and multi-tasking are weak. You're saying it's okay that the iPad doesn't have these features because the iPhone doesn't... Thats just silly. I am really disappointed from Apple Co. as the company renovates its old product iPhone in a newer & bigger form; but similar options & no newer innovation. In other words, there is no single progress. I only see failure & dependence made by the company on the good reputation it had made when it innovates iphone. I don't have the iphone, but i have the ipod touch & i see that it is enough & more than enough & there is no urgent need to buy neither iphone (as i have a nokia mobile) nor giant ipad! !...These are all similar to ipod touch.. I am NOT OK with the lack of Adobe flash on the iPhone – it is needed for one of the websites I use the most and the lack of that and not being able to 2 apps at once are my largest quibbles with my otherwise beloved iPhone. I also don’t like that I cannot run multiple applications at the same time, but that’s also an issue we have dealt with on the iPhone. I am sure Apple will address it when they think it will not have an adverse effect on the user experience." These are two key problems – that and no USB support other than the dock no way to simply plug in a USB key or external drive for data transfer etc. No doubt it will have a beautiful touch interface which is remarkably smooth like that with the iphone, the key difference is the iphone fits in my pocket, this will not. it lacks 3 components.....plz Steve Jobs...FLASH is a mus have !!!!!!! !and a forward facing camera and if it doesnt a camera on the rear!! I see the word "deal" repeating in the article. Why would I spend my money on anything I had to "deal" with. Apple fans think apple sets the tone for all technology, everywhere. They say that if the IPHONE/IPAD doesn't have it, you don't need it. Sorry, society will not conform the rest of the world's technology to fit neatly into the confines of what apple products can and can't do. The iPad is not for everyone. It is not meant to replace a regular laptop or iPhone. Why should it be a device that suits everyone's computing purpose? It doesn't have to. Stop it with the "it is bigger than iPhone and can't fit in pocket argument"! Stop it with the "it doesn't have this and that" argument ! Granted this is Apple so people naturally have high expectations. As you can see there are way many other uses other than personal computing! I like how everyone is complaining about this thing before they even get their hands on it. I just want to add to what Pete said about the potential markets for this device and say that this would be perfect for high school and college students that need something easy to carry. Word processing, presentation, and spreadsheet program, capability to listen to music, use most of the apps on the app store, and downloadable e-books. Just because you don't think it's better than your "precious" little iPhone, doesn't mean it is purposeless. Is this for real? Come on, Topher, you put up a title like "Why I (really!) 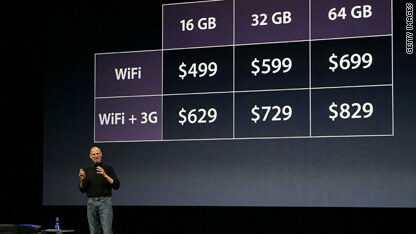 need the iPad" and then you say "Will I buy one? Not sure yet." Even _you_ aren't totally on board. I read the title of the article and clicked through thinking, maybe this guy can tell me what all the hype is about and really pitch it to me. I was SO wrong. If you're going to tell me you (really) need this product, don't tell me you're not sure you'll get it, down at the bottom of the article. mobile computing always have a growing trend in the succeding years`." mobile computing is the future of personal computers, we want more portable and mobile pc's;-. Hey check out a new File Upload Service? Check out my website and upload files up to 500mb and share them for up to 4 weeks! It is almost like you read my thoughts! Your website is so awesome that my mouth starts bleeding when I look at it. While this might go against everything I've read, I am going to go ahead and try it out and I I'll let you know the results. Can you someday tell me more about this issue? A few of my classmates have been recommending this blog to me for a while now and I finally found the time to visit.